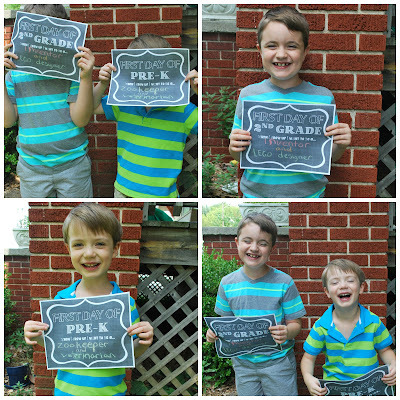 1: We always take back to school photos. I love looking back on these and seeing how much they have changed from year to year. If you want to use the fun signs I made, you can grab them for free HERE! 2: We fill out a First day of school Interview. The one we have been using can be found here. Again, it's just too sweet to see how these change over time. 3: We usually go on a field trip. I know, I know. What's the point of making the school room all shiny and organized if you aren't even going to use it? Well, I like it shiny and organized and we'll get to it tomorrow! But in all seriousness, I love that we can choose to do something non-traditional and take a field trip on the first day. Besides, all of the places that we love to go are EMPTY now that traditional school is back in session. 'Nuff said. HOWEVER, we didn't actually kick off with a field trip this year. The boys wanted to go to the Discovery Center and they are closed on Mondays so we will be heading there tomorrow. 4: We get some sort of yummy treat to continue celebrating. 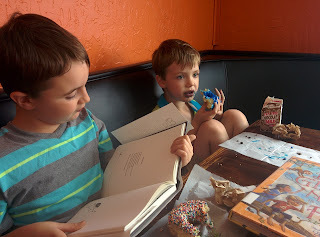 This year the boys chose to go to Hurts Donuts. They have the most delicious donuts and it's such a fun atmosphere. But really, whatever over-the-top sugary treat you choose will be gobbled up and loved. We also incorporated an impromptu poetry "tea time" into this part of our day because O has been seriously anticipating starting those and "needed" it to happen on our first day. I decided it just didn't matter that there was no tea involved. The poetry was still as delicious as the donuts! That's it! That's our back to school routine. It's simple but creates great memories and that matters. Multiplication can wait for tomorrow. What about you? 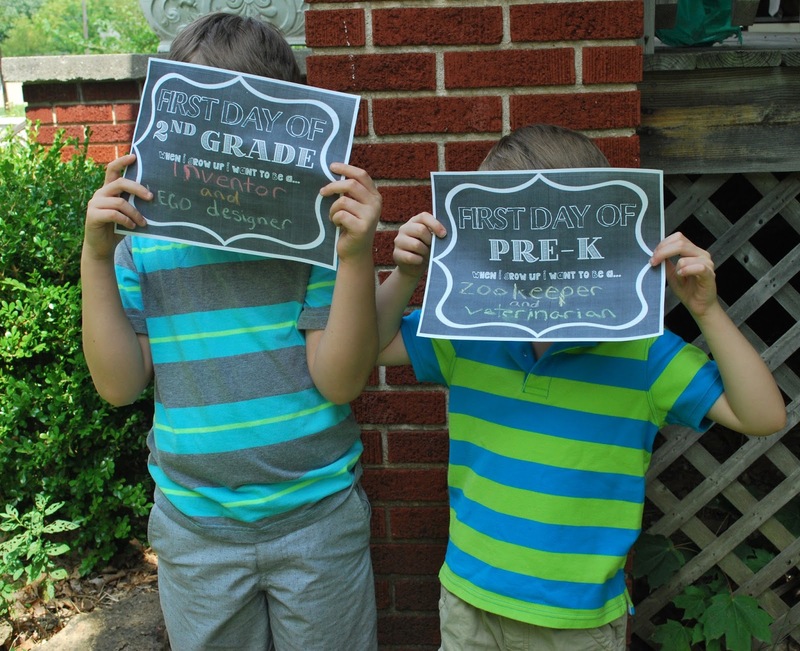 What does your back to school routine look like? I would like to be completely honest here and say that while I do LOVE back to school FUN I also go through back to school ANXIETY. I have come to the conclusion that while I adore teaching these little fellas, I will always have moments of doubt, fear, and complete terror. In early August you are just as likely to find me sitting in the school room rocking back and forth amidst a pile of papers and books, completely immobilized by the task that lays ahead as you are to find me cheerfully laminating and planning, completely energized for the year. It's all part of it. And it's all good.